Here’s the ‘ol Prince O3 Speedport Silver, which is silver and black. Don’t get this confused with the Prince O3 Black, which is actually silver. Just sayin’, SOME people might find that confusing. But not me. 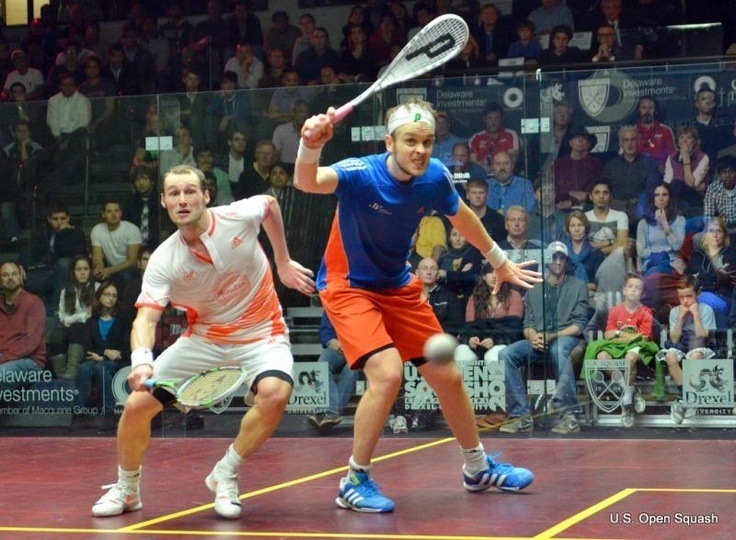 Here’s James Willstrop at the US Open, playing with a silver racket. Perhaps the Prince O3 Speedport Silver, you say? Actually no, it’s the Prince O3 Black. 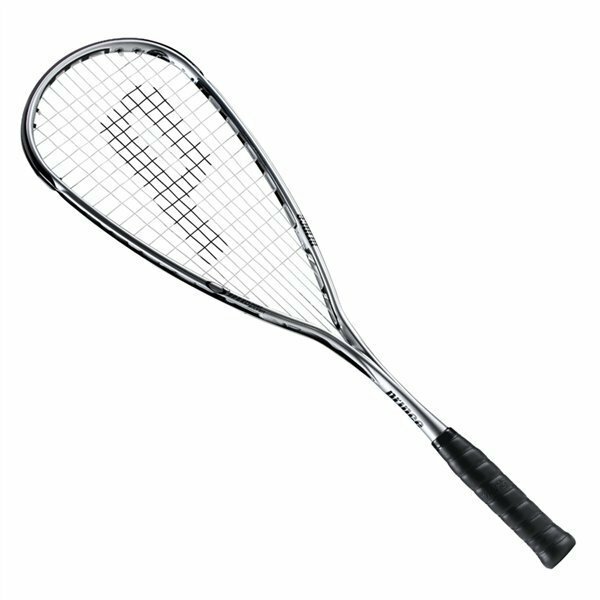 This was the 2nd racket I ever used (after starting off with the O3 Hybrid red) and as far as I can remember it was fabulous : a brilliant combination of raw power due to the long strings and good accuracy due to the orthogonal and dense pattern. The racket itself was a bit on the heavy side (142g unstrung if I remember correctly) but with the O3 holes technology which made it swing faster and smoother you didn’t feel these few extra grams. The racket was out of production for a few years but was then given a successor named Prince O3 Team Silver 900 which I haven’t tried it (was priced too high at the time) but they look identical + the 900 implies a rather powerful racket which is exactly what I remember from the original model. If you are able to find it (not easy) I would definitely recommend it.